Human behaviour can change more quickly than you might think. Tackling climate change and pollution can feel like a gargantuan challenge, but news from the UK’s Marine Conservation Society has given us a glimmer of hope. Since 2015, the number of plastic bags found on UK beaches has fallen by almost 40%. Organised as part of the annual Great British Beach Clean, volunteers across the country helped collect the data as they gathered 268,384 individual pieces of litter from the UK’s beaches. The "5p charge," obliging customers to pay a small fee to use a plastic bag, was introduced in England in 2015 in an effort to reduce plastic waste. Since then, the number of plastic bags found on English beaches has more than halved. So the charge is clearly working — and this is true across the UK as a whole. 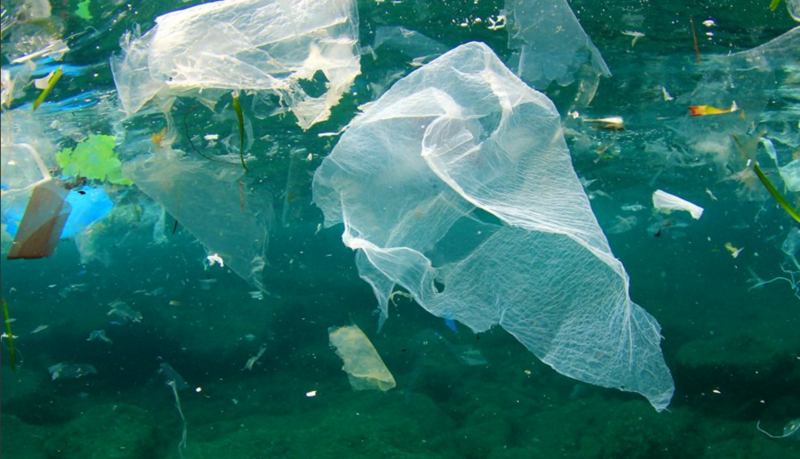 In 2015, volunteers found an average of 11 plastic bags per 100 metres of UK coastline. In 2016, the number has fallen to seven. Wales, where the plastic bag charge has been in place since 2011, is well ahead of the game with only four plastic bags found per 100 metres. But don’t pop out the celebratory balloons just yet. Sadly, it’s not all good news. While the number of plastic bags has almost halved, the number of plastic bottles has risen by 4%, and more shockingly, balloon litter has risen by 53%. However, the fall in plastic bag litter has shown that behavioural change can make a tangible and rapid difference to our environmental impact. So campaigners are calling for further initiatives to reduce the amount of other plastics threatening the marine environment. Some suggest a deposit scheme, where customers pay a 5p or 10p deposit for buying a plastic bottle, which can be reimbursed if the bottle is returned. Others want to go even further, following France's example, and make all disposable items compostable. Steps are being made to clean up the planet for ourselves and marine lifesteps are being made to clean up the planet — whether it’s a volunteer picking litter from UK beaches, or a pair of dreamy blue Adidas shoes made from ocean plastic. These initiatives remain a drop in the proverbial ocean compared to the scale of the issue, but point to progress in transforming our relationship with the environment.The only way to end our dependence on plastic is to change the way we live.